Are You Making Any of These Credit Card Point Redemption Mistakes? My wife and I went to Colorado and paid for the plane tickets and car rental with credit card reward points. I thought I was smart because I got an extra 25% when redeeming for travel bookings rather than cash. Redeeming points for plane tickets was a good idea, but the car rental? Not so much, as I’ll explain in a moment. You probably have at least one credit card with a rewards program. But redeeming your points is not always simple. You might have a choice between cash back in the form of a statement credit or using the miles or points for booking a hotel or flight. You might have gift cards available, or the opportunity to transfer your points to a frequent flyer program. Generally you want to get the maximum financial value from your rewards. However, it’s so easy to make a mistake. Here are seven credit card point redemption mistakes to avoid. Only after I had booked did I learn that the collision damage waiver for my car rental was about $20 daily. This extra can cost as much as $28 a day in some areas. You can normally avoid paying this fee if you have one of the many credit cards that offer car rental insurance as a benefit. But because I used points to pay for the car, I wasn’t covered. Suddenly my $219 car rental that cost only $175 worth of points didn’t seem so smart. I had to pay an additional $120 for the six days — far more than the $44 I thought I saved — or go without this collision protection. There’s another problem, too. You don’t normally pay for rentals until you get the car, and you can cancel without charge if necessary. But when you pay using points, you pay in advance and it’s non-refundable. If your plans change, you lose your points. So, save the points for flights and hotels. Don’t use them for car rentals unless your plans are unlikely to change and you have collision coverage on your personal vehicle that covers you when you rent a car (ask your agent). Some card issuers have online “stores” with items you can redeem with your points. If you have other options, they will almost always be better. For example, why buy a $50 sweater for 5,000 points if, instead, you can get $50 cash, buy a sweater elsewhere for $30 and pocket the difference? Or, if you have gift card options for local retailers, take those and you’ll at least be able to choose from a wider variety of merchandise. Also, merchandise you buy with points doesn’t have the purchase protection that many credit cards offer. 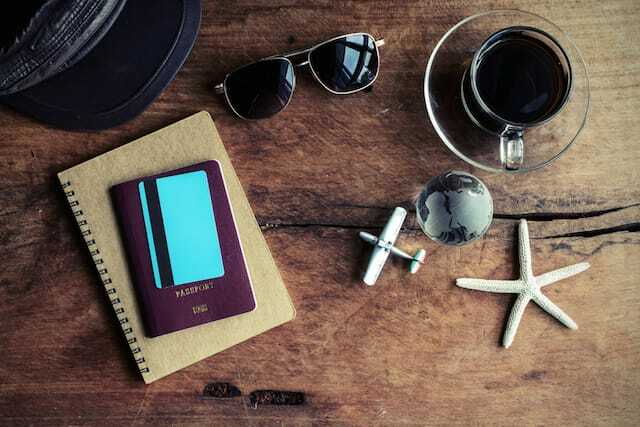 With the exception of programs that offer higher value for travel bookings, you should normally take cash for your points if you can, and then buy what you need using your credit cards. All gift cards are the wrong ones if your redemption options include an equivalent amount of cash. Why limit yourself to spending a $50 gift card at one store when you can use $50 cash anywhere? Also, if you get cash instead of gift cards, your new purchases will earn you more points, assuming you make them with a rewards credit card. But if you can’t redeem for cash, be sure you get the right gift cards. Choose ones for stores where you regularly shop if possible, but also look at the “price” in points. Sometimes 5,000 points will buy a $25 card for one retailer and a $50 card for another. If you have to redeem for gift cards, buy ones you can easily use and that get you the most value for your points. To get maximum value from your points, you need to calculate and investigate. For example, with my Citi ThankYou Premier Card, I get a penny-per-point cash back or 25% more if I book cruises, hotels or flights through their system. But when I found a cheap flight on Frontier and went to book two tickets, I received a notice that they can’t book for that airline. The next best option cost 35% more, so I was better off taking the cash and paying for the cheaper flight. But that wasn’t the end of the story. On a hunch, I called the booking agent and discovered that while the automated system online doesn’t include Frontier Airlines, I could pay for a Frontier flight with points by booking over the phone. That phone call saved me over $100. Investigate your options! Even if you have hotel credit cards, you may want to pay cash sometimes, even if you have enough points to cover a stay. For example, my Wyndham Rewards card signup bonus of 15,000 points is exactly enough to get us a free night in any of the hotels in the Wyndham collection. Since that includes $60-per-night Super 8 hotels and $300-per-night resort hotels, I’ll pay cash at the next Super 8 we stay at, and save the points for a resort. Most hotel reward programs charge according to the category of hotel. For example, I regularly use 12,000 of my Hyatt credit card points to stay in category three hotels, but a category six hotel would cost 25,000 points, according to the Hyatt point redemption schedule. But even with this kind of system you may want to pay cash at times. It’s all about the price differences from night to night. It costs 15,000 Marriott points for a category three hotel. But what if you only have enough points to cover one of the three nights you plan to stay at the hotel? In that case, you should check the rates for each night. If one of them costs more than the others, use the points for that night and pay out-of-pocket for the other nights. This trick can easily save you $20 or more. Many reward credit cards let you transfer points to hotel reward programs or airline frequent flyer programs. Often you’ll get more value by transferring your points to a partner program, so investigate your options. However, it can get complicated to make comparisons fairly. For example, it took a 3,000-word post for Eric Rosen to explain American Express transfer options. Amex has 17 airline and four hotel partners. And your travel habits and which airlines service your area largely determine which ones to consider for points transfers. Have you ever let points expire or closed a credit card account that still had a substantial number of unredeemed points? Maybe you couldn’t use the points in time, or you didn’t have enough to meet the minimum redemption amount. But there is an alternative to throwing away those points: Spend enough on the card to build your points up and redeem them for cash or a gift card. For example, I had an old American Express card with 2,130 points on it. I never used it (I have better cards I want to use), and the minimum I needed to redeem for a statement credit was 2,500 points — good for $25 cash back. Rather than just forfeit the points, I bought four $100 Walmart gift cards, which I can easily use up on groceries in the coming two months. That brought my point total up to 2,530 points, and I redeemed 2,500 points for $25 cash back. Unless you have only a few points (I’m not worried about the last 30 points on the Amex card), don’t let them expire or get lost. Round up your balance to the minimum redemption amount by buying gift cards for places you normally shop, and redeem those points. With hotel reward points you have another option: Use points for partial payment. For example, I’ll soon have only 4,050 Wyndham Rewards points left, which is nowhere near the 15,000 needed for a free night. I may close the credit card account (mainly so I can open it again in a year to get another free hotel night). Fortunately, Wyndham has “go free” or “go fast” awards. If you don’t have the 15,000 points needed to go free, you can use the “go fast” option and use 3,000 points to get a discounted rate. I’ll use that option and only lose the last 1,050 points if I close the account. Hyatt recently introduced a “Points Plus Cash” system, which also allows you to use your points as partial payment. Other programs have similar options. Bottom line: Don’t throw away too many perfectly good points if you can avoid it. Your Turn: Have you made any of these credit card point redemption mistakes? Steve Gillman is the author of “101 Weird Ways to Make Money” and creator of EveryWayToMakeMoney.com. He’s been a repo-man, walking stick carver, search engine evaluator, house flipper, tram driver, process server, mock juror and roulette croupier, but of more than 100 ways he has made money, writing is his favorite (so far). 19 Minutes Ago Dear Penny: I Can Only Afford Interest on My Student Loans. What Can I Do?